It is quite interesting to note that presently people have become more health conscious. They try to include healthy items in their diets. It is true that it is not always possible to get complete nutrition from the foods that we intake. This is the reason that people include various kinds of health supplements to their daily routine. Among the different kinds of such nutrients, activated charcoal capsules need special mention. Activated charcoal capsule manufacturers opine that currently there is great demand for the product in the market and they have to produce the item in bulk to cater to the requirements of the customers. 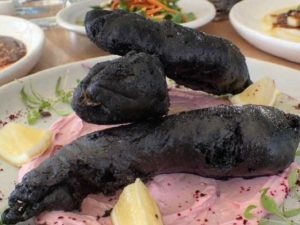 You might also notice that in many restaurants and pubs and eateries, black foods are served to guests. It might look quite creepy and disgusting in the beginning. But once you know what it is, you will not have that feeling any more. Black cocktails and mocktails are served in many bars, pubs and clubs globally in recent times. You might also have seen the famous black hamburger from the house of the famous McDonald’s. Black colored juices and other foods are also quite high in demands in many restaurants and eateries. Do not worry. This black color comes from the use of activated charcoal in the foods. The best thing about this component is that it does not hamper much with the taste of the food. The only change that is noticeable is in the color of the food when it is presented. It is intriguing and pretty creepy initially, but when the ingredient is known, it is okay. With festive times knocking at the door, people definitely want to look their best and thus healthy eating is welcome. However, during the Holiday season and times of festivities, putting on little weight is quite common. And when this happens, it is obvious that people want to shed off those extra pounds and want to have their bodies “cleaned” or “detoxed”. The use of activated charcoal even in fast foods like burgers, sandwiches, drinks etc. is gaining immense popularity as this enables you to enjoy your ‘cheat’ foods without adding the harms. The use of activated charcoal in food items is a relatively new idea. However, its popularity is on the rise. There has been a steep rise in the various items containing activated charcoal by 15% since the year 2016. However, activate charcoal had been extensively in use in various kinds of personal care items including deodorants, facial cleansers and masks. Adding activated charcoal to food items distorts the color of the item significantly, making it pretty dark. Though now private label activated charcoal capsule is available in the market, use of activated charcoal was seen from ancient Egyptian times. During those times, the ingredient was used for curing various kinds of intestinal ailments and for absorbing obnoxious odors. Activated charcoal also found its place in ancient Chinese and Ayurvedic medicines. Along with boosting intestinal health, this product was also used for adsorbing toxins. Modern medicine also relies greatly on the excellent benefits, which are offered by activated charcoal. Along with detox of the system, activated charcoal helps in reducing intestinal gas, lowers cholesterol, alleviates hangover and so on. When research and studies were done as how activated charcoal capsules were making an impact in the market and on different people, the results were highly satisfying. Infact many people looked to buy activated charcoal capsule bulk so that it becomes affordable. Reports and statistics have shown that demands of these products are increasing with each passing day and the increase is quite steep. In the upcoming 5 years, the market of such supplements will get better and manufacturers can make great profits. If you haven’t added activated charcoal capsule supplements to your daily regimen, do it right away to reap the great benefits.